For Christmas, Wen bought me a subscription to Mark magazine. Every two months visions of another architecture arrive at our house. The last issue featured an article on architects who have opened businesses inside the spaces they designed. The concept of the article felt a little navel-gazely and trite, but then you have to remember that most architects never actually operate out of the spaces they design (Imagine working for the phone company and using the other guy’s service). 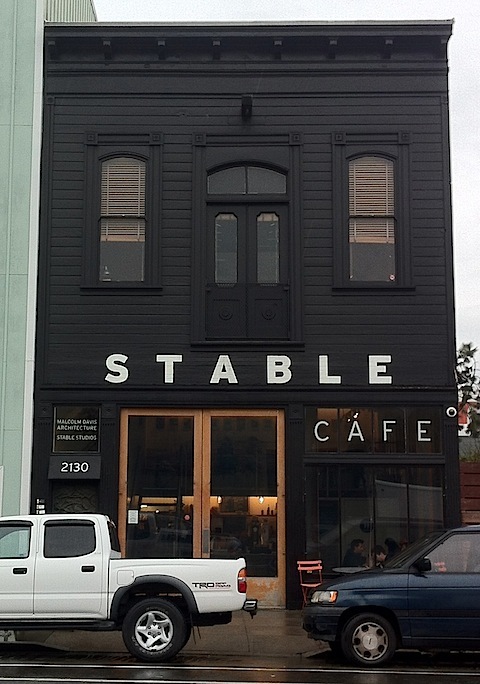 One of the places mentioned was the Stable Cafe in San Francisco. Turns out that an architect bought the building – an old stable – and put his studio on the upper floors. 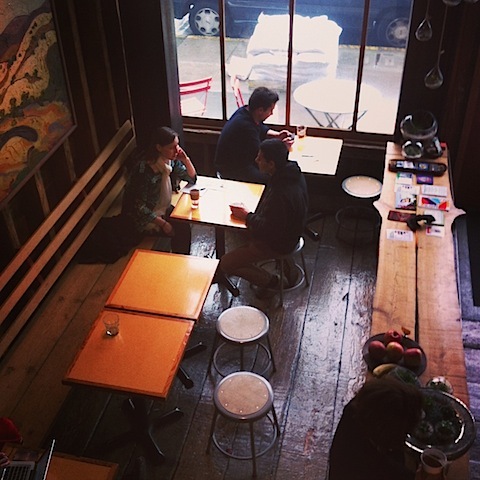 Unable to figure out what to do with it, he turned the lower level into a cafe. 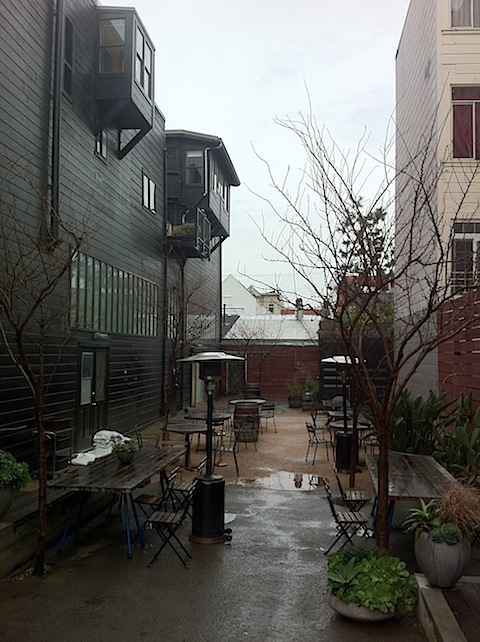 Through sheer luck, I found myself in SF for a business meeting about six blocks away, so I headed on over afterwards. Note the terrariums. 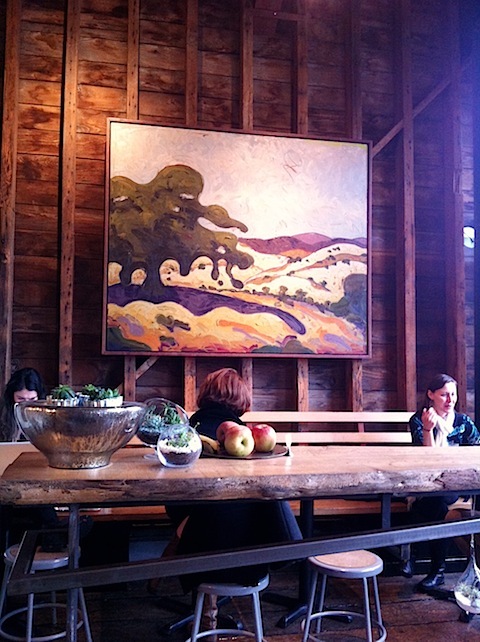 Not just on the wooden slab table but also hanging below. And here’s the kitchen where the friendly staff work. 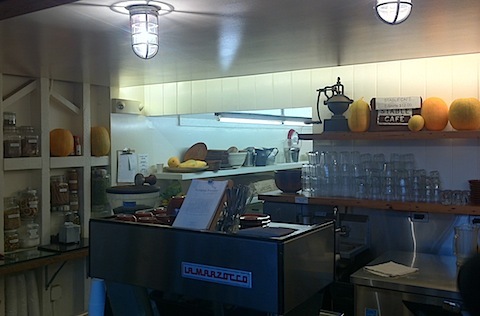 Note the La Marzocco machine; they take their coffee seriously here. Worth a visit if you find yourself in San Francisco’s Mission.